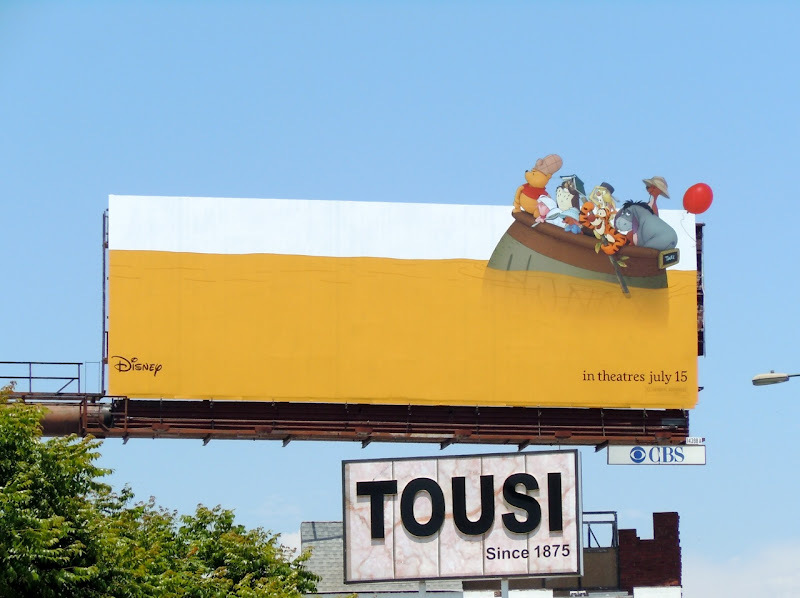 Disney fans will love this Winnie the Pooh billboard for the new movie about the titular honey-loving bear and his Hundred-Acre Wood friends. 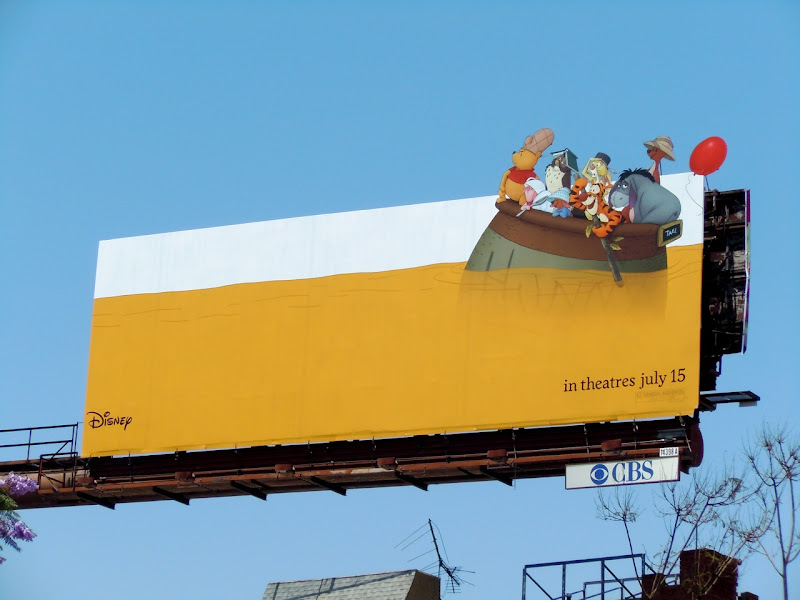 Daily Billboard's only criticism of the creative is that even though Pooh Bear, Piglet, Tigger, Eeyore and friends on a sea of honey makes for a great visual, it doesn't really tell you that much about the movie (which is the first cinematic outing since 2005's Heffalump movie). This film billboard was snapped along Santa Monica Boulevard near Westwood Boulevard on July 5, 2011.